Q: What is WinArmor Desktop? A: WinArmor Desktop is a new way to keep your Internet browsing safe. It applies technique "playing dead": every attack from trojan/whatever imagines successfull for that trojan but in fact leaves your system clean. Q: Why do I need to use WinArmor Desktop? A: It is good tool to make your life a bit easier. Q: Do I still need to use other tools (firewals, anti-viruses, etc) with WinArmor? A: Yes. "Too much" safety does not exist. Q: Is WinArmor Desktop a silver bullet for Internet security? A: No. It just decreases the risk significantly. But even with WinArmor you may be attacked successfully. Q: But why I need WinArmor Desktop if I already have firewall, antivirus and even UAC? A: Antivirus works only after somebody has been infected and McAfee/Symantec got a report from him. WinArmor decreases possibility to be infected before antivirus update is installed. Q: Okay, but what about firewall or realtime monitor? A: Firewall and monitor cannot protect you from social-oriented attacks. Q: Hmm. "Social-oriented"? What's this? A: Just an example: if you receive something interesting via email (or find it in the Internet) (some interesting content, like "screensaver", "horoscope", etc. ), you'll download and start it, right? In that case, firewall will not be able to stop you. It has ability to detect and stop strange activity of this "horoscope" in the Internet, but not prevent you from running malicious content. Q: Oh, I understand: WinArmor defends my system, firewall defends my traffic. Antivirus works like insurance policy, so it will be able to cure my system if other measures are not enough. Am I right? A: Absolutely right view, gentlemens. Q: What are WinArmor Desktop requirements? A: Pentium compatible processor, 128MB RAM, 15MB free disk space, see requirements and features for details. A: Windows 2000, Windows XP, Windows 2003 and Windows Vista for both Desktop and Server. Q: Does WinArmor Server support Windows 2003 Appliance Edition? Q: What kind of software is WinArmor Desktop? A: WinArmor is a general purpose software; you are able to manage any application, starting from IIS and ending with MS Outlook or MS IE, in managed environment. 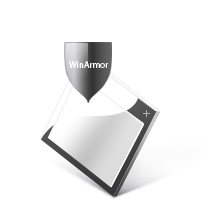 Q: Are there any known compatibility problems with WinArmor Desktop? A: WinArmor has no compatibility problems now. But we appreciate to be inforemed about any possible problems you may face. Q: Does WinArmor Desktop and WinArmor Server have corporate licenses? A: Yes, but in case you need one private requests by email is required. Q: Are there any possible discounts for WinArmor Desktop and WinArmor Server? Q: Do I need to buy 4 licenses for WinArmor Server if I have 2xXeon HT processors on my server? A: No, WinArmor Server doesn't require per-processor payment. One license will be enough. Q: How to get a WinArmor license for free? Q: We are a non-profit organization. Is there a way to get WinArmor license for free? Q: How to buy WinArmor Desktop? Q: How to buy WinArmor Server? Q: How to install WinArmor Desktop? Q: Does WinArmor provide Web-based installation? Q: Does WinArmor provide remote installation? Q: Does WinArmor provide silent installation?